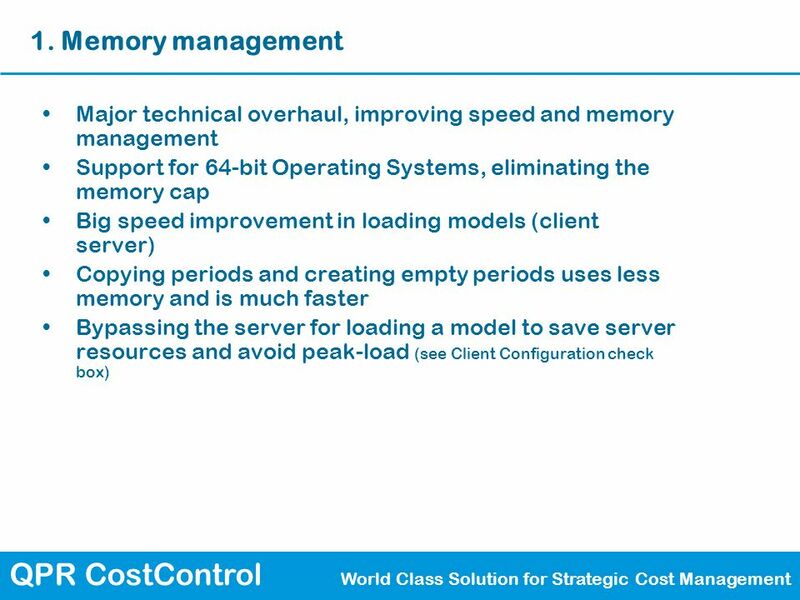 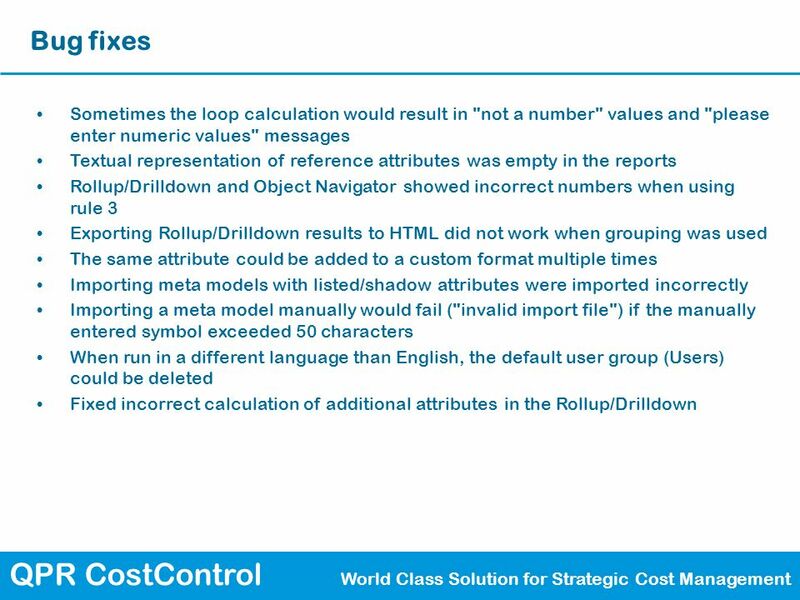 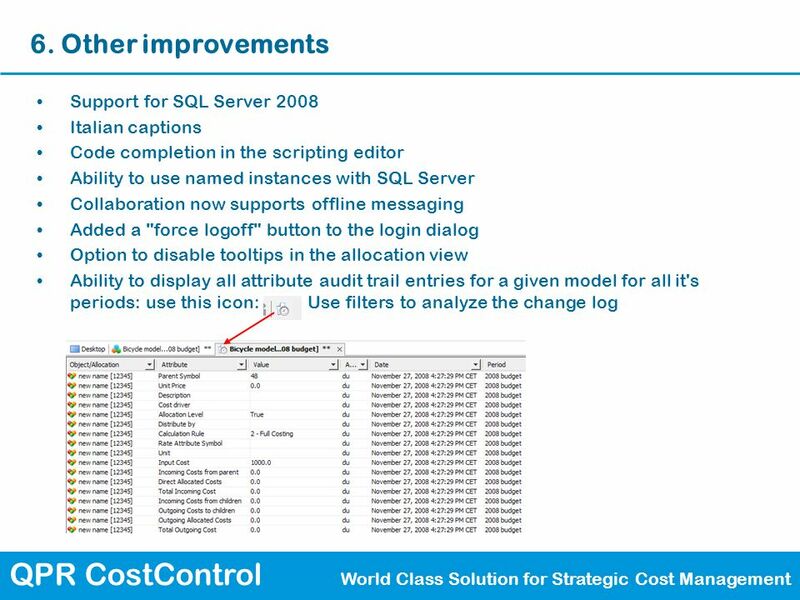 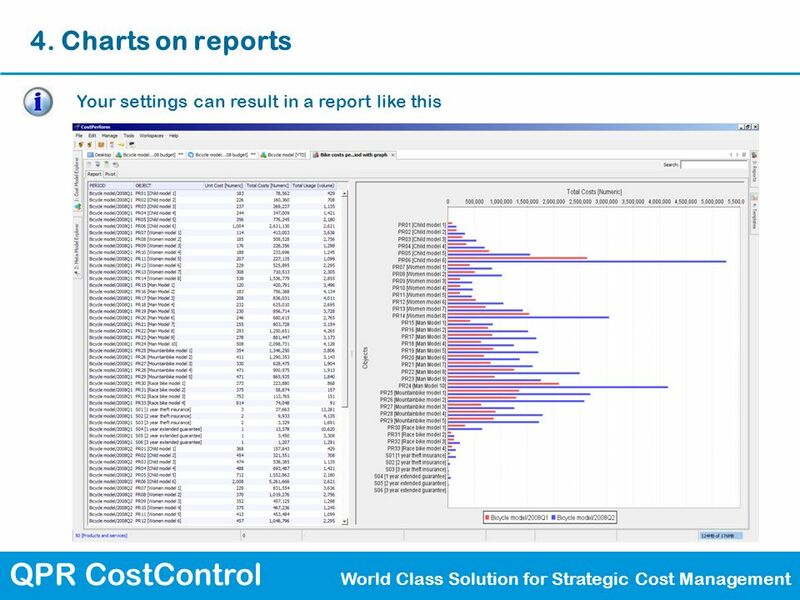 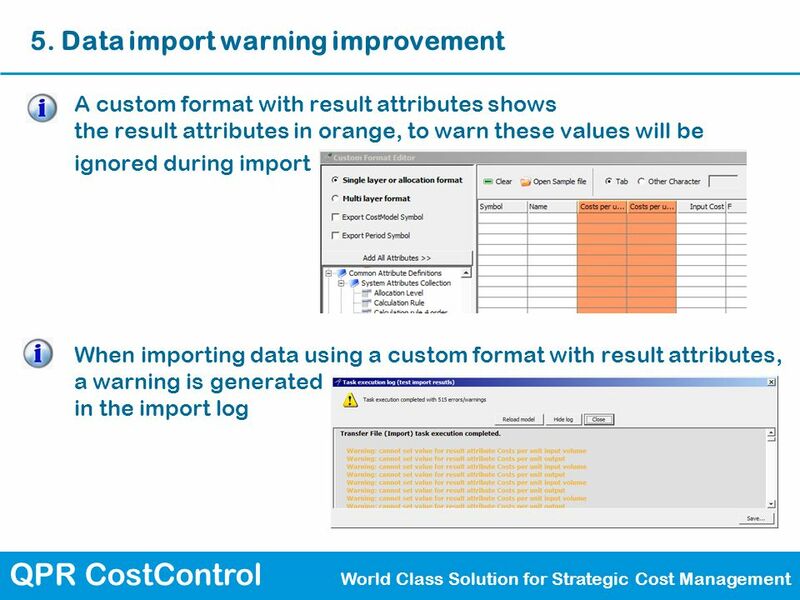 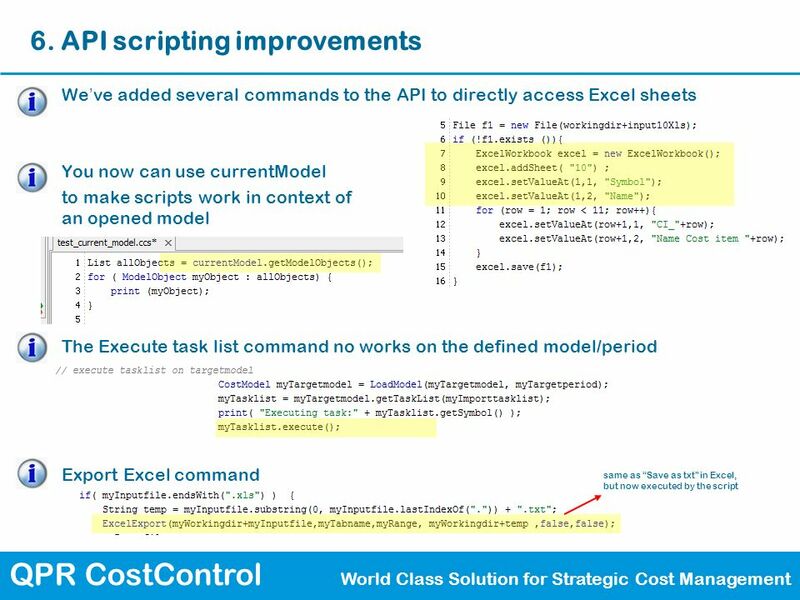 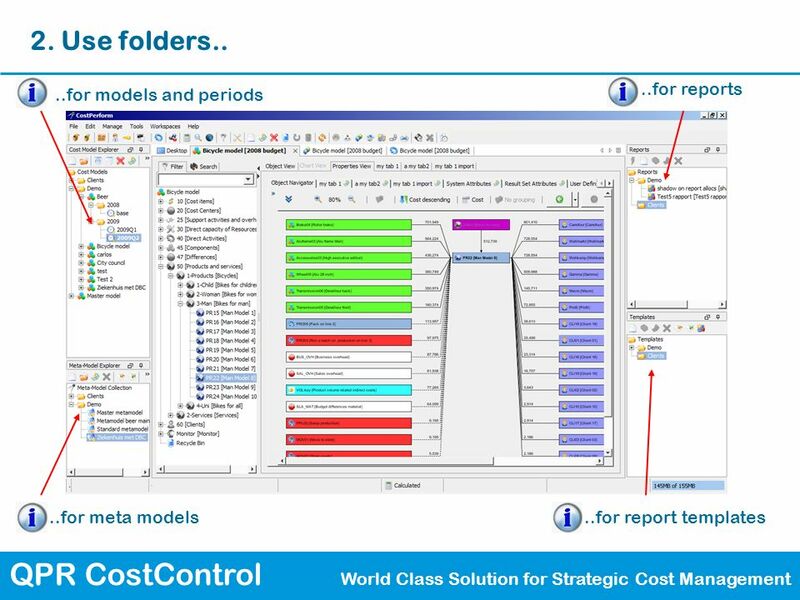 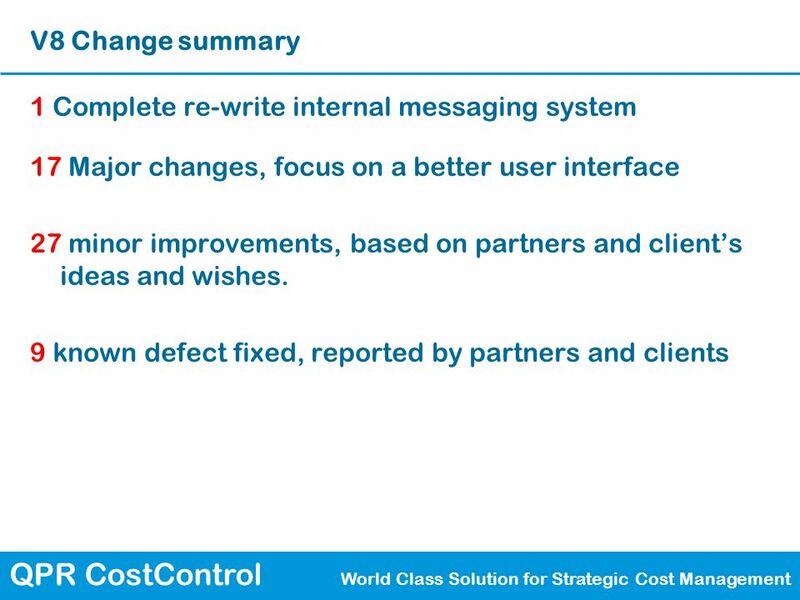 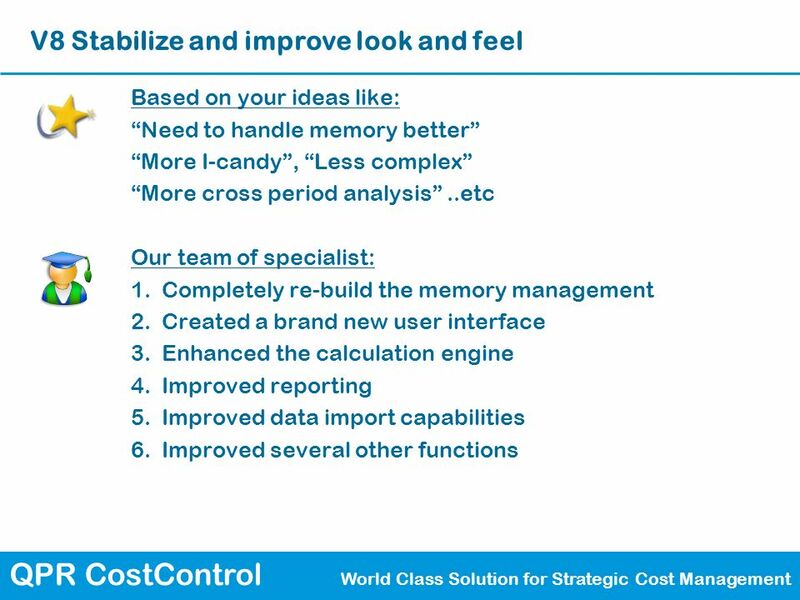 QPR CostControl World Class Solution for Strategic Cost Management CostPerform 8 Release notes. 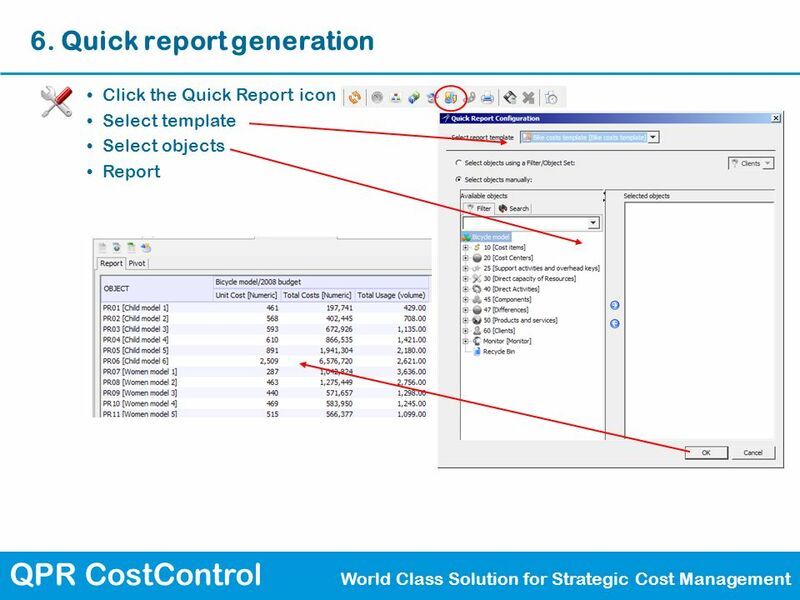 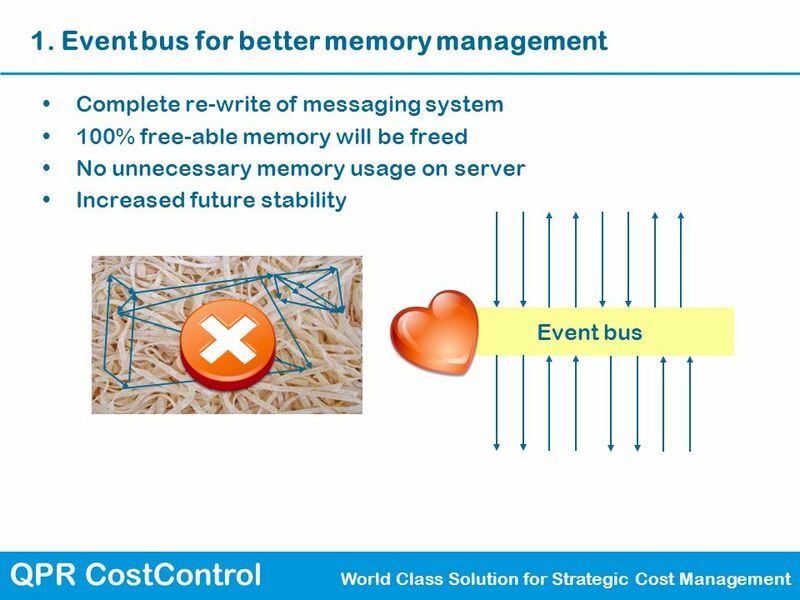 6 QPR CostControl World Class Solution for Strategic Cost Management 1. 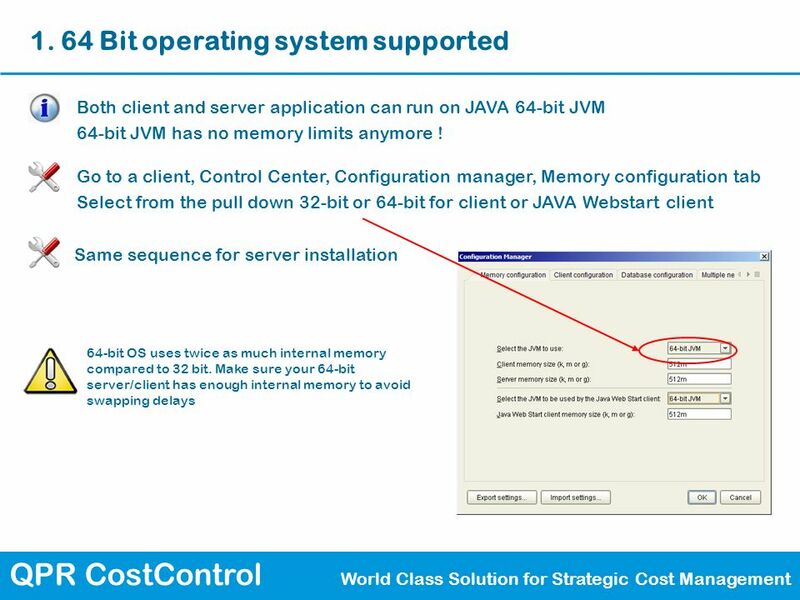 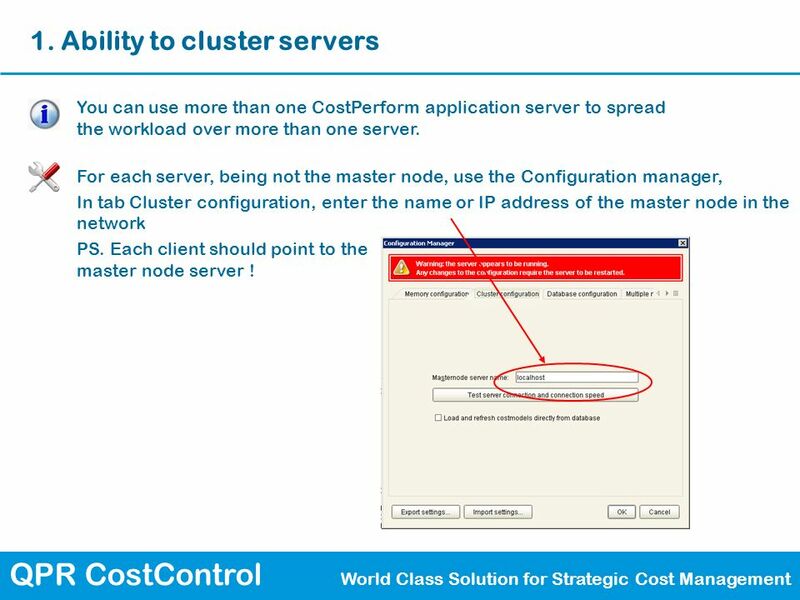 Ability to cluster servers You can use more than one CostPerform application server to spread the workload over more than one server. 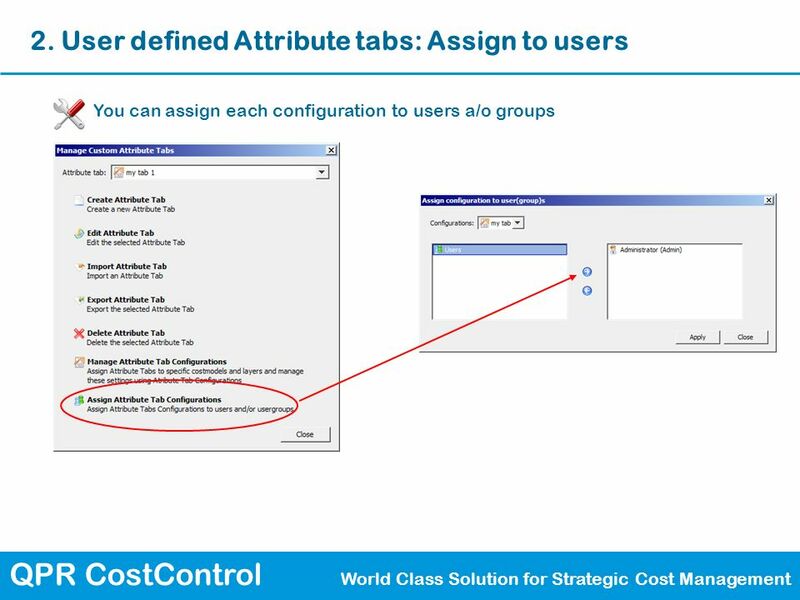 For each server, being not the master node, use the Configuration manager, In tab Cluster configuration, enter the name or IP address of the master node in the network PS. 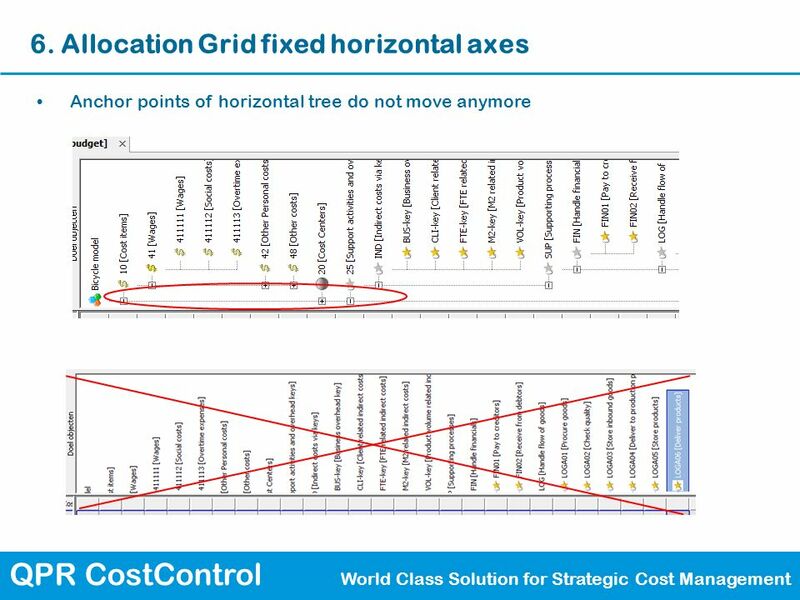 Each client should point to the master node server ! 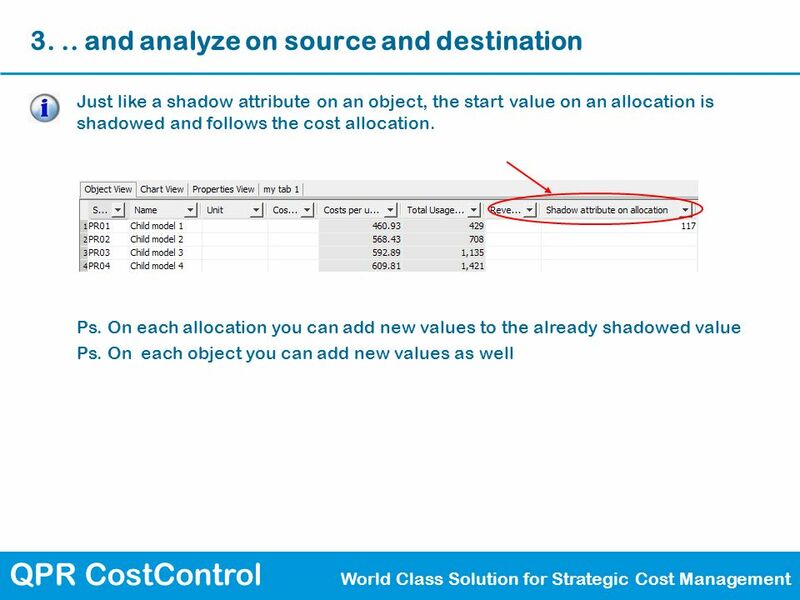 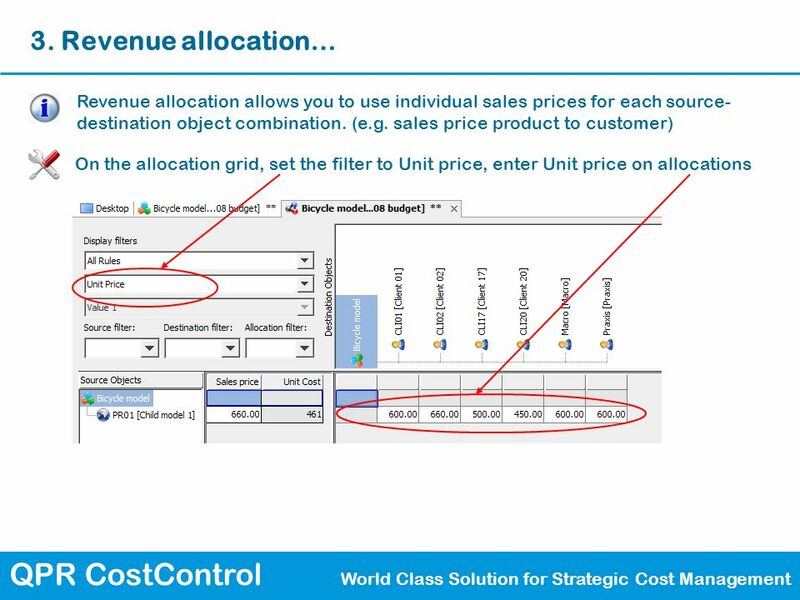 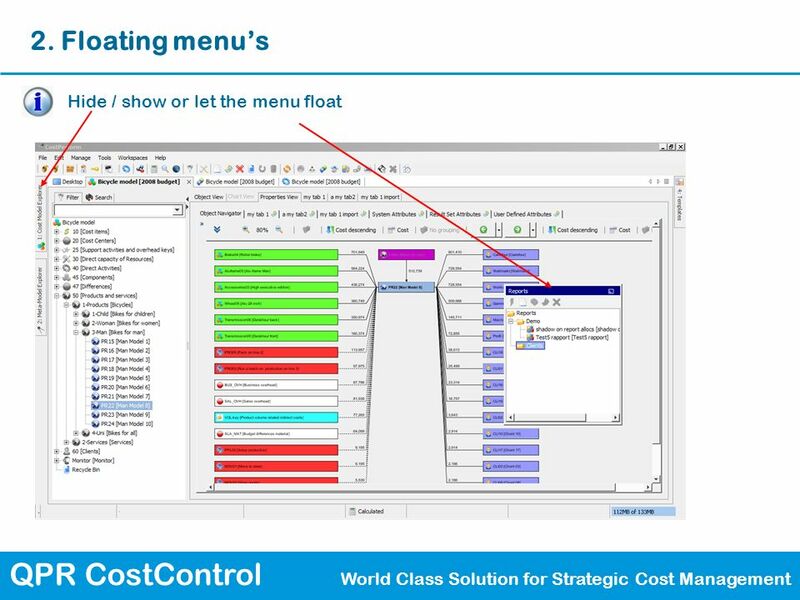 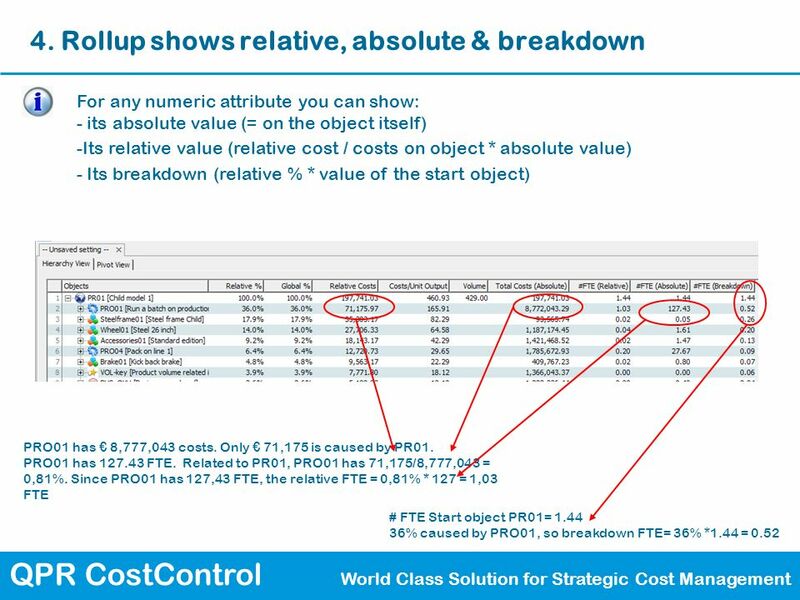 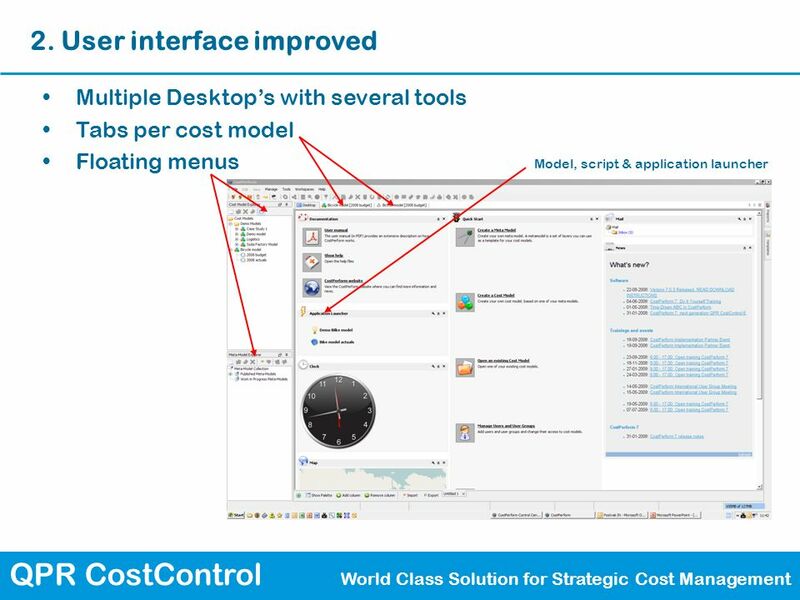 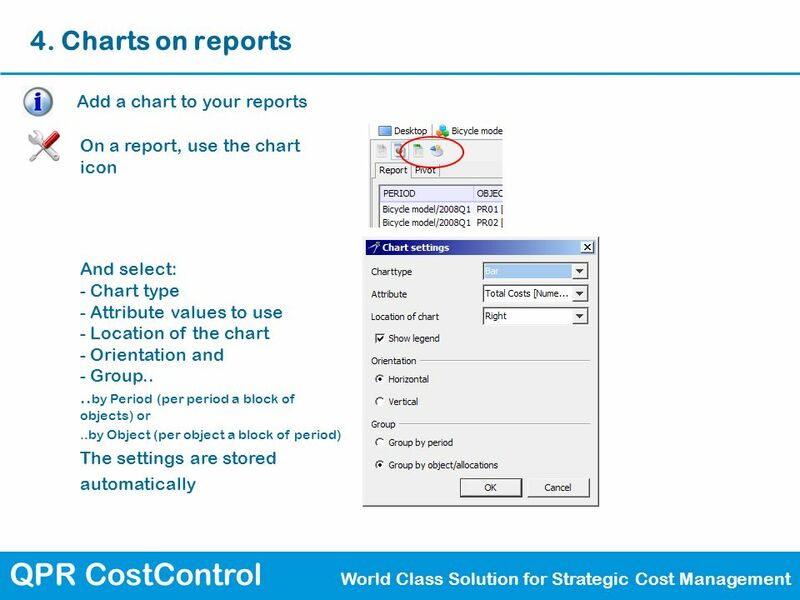 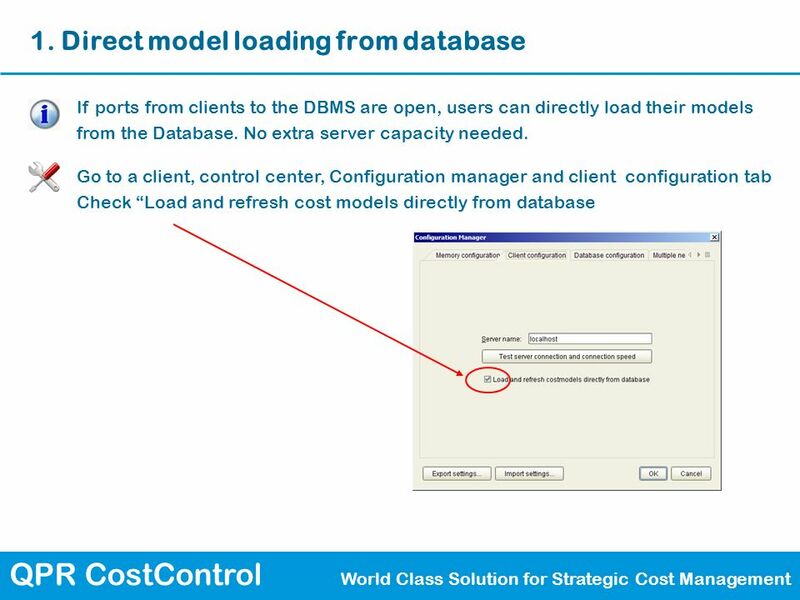 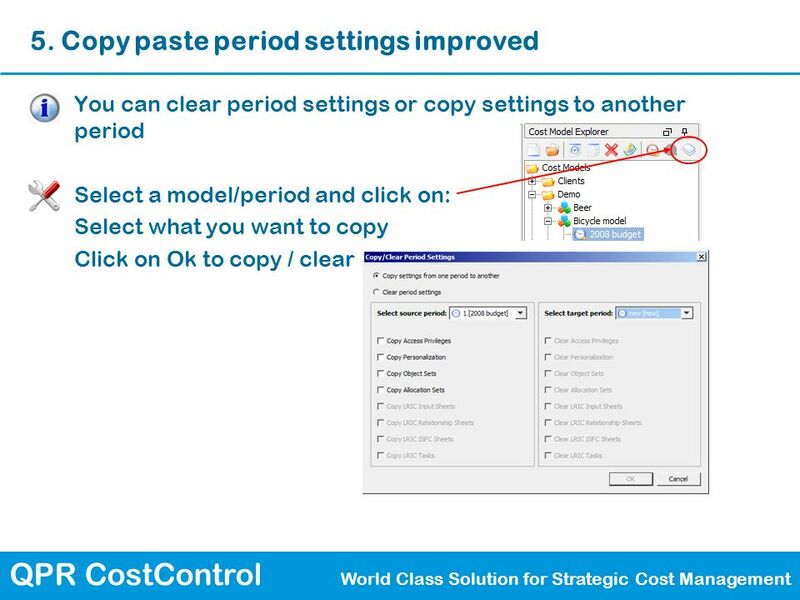 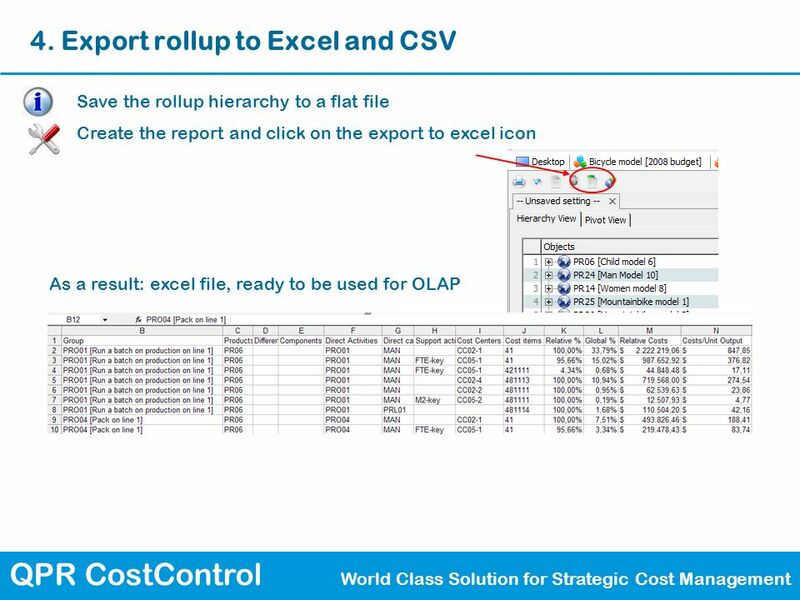 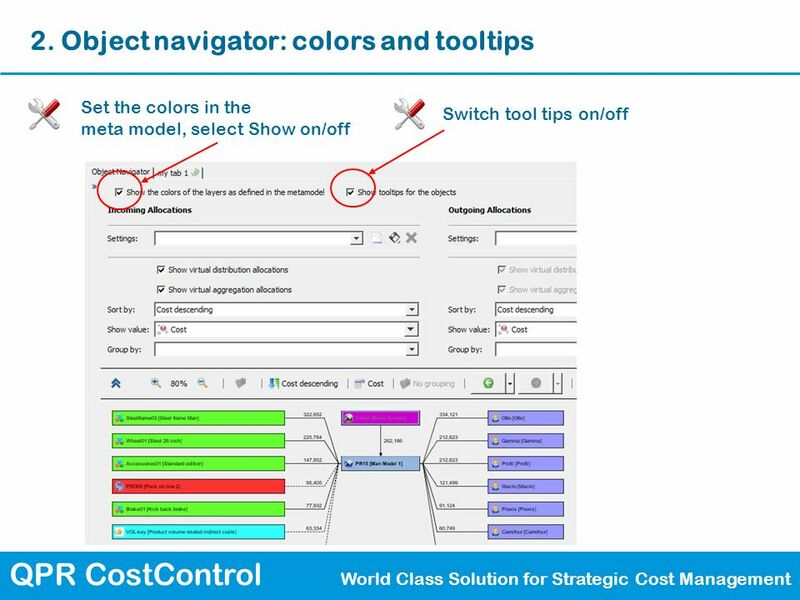 18 QPR CostControl World Class Solution for Strategic Cost Management 2. 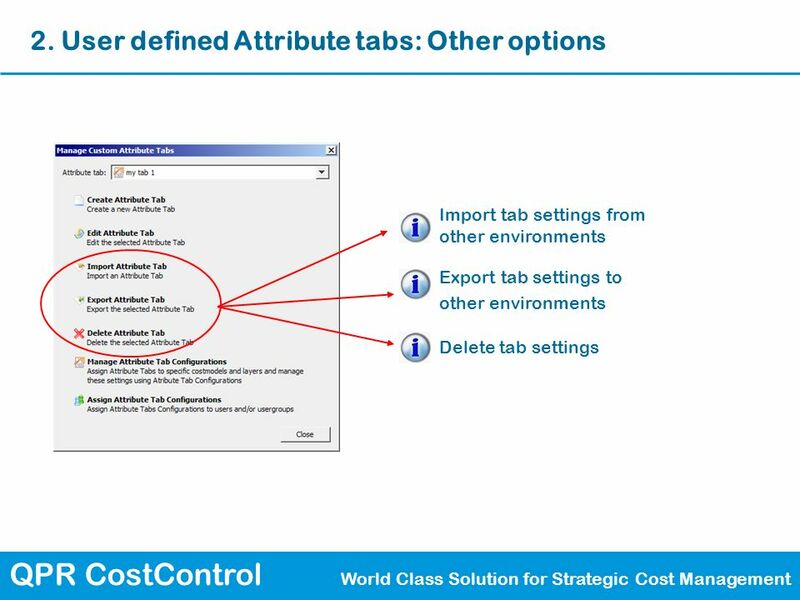 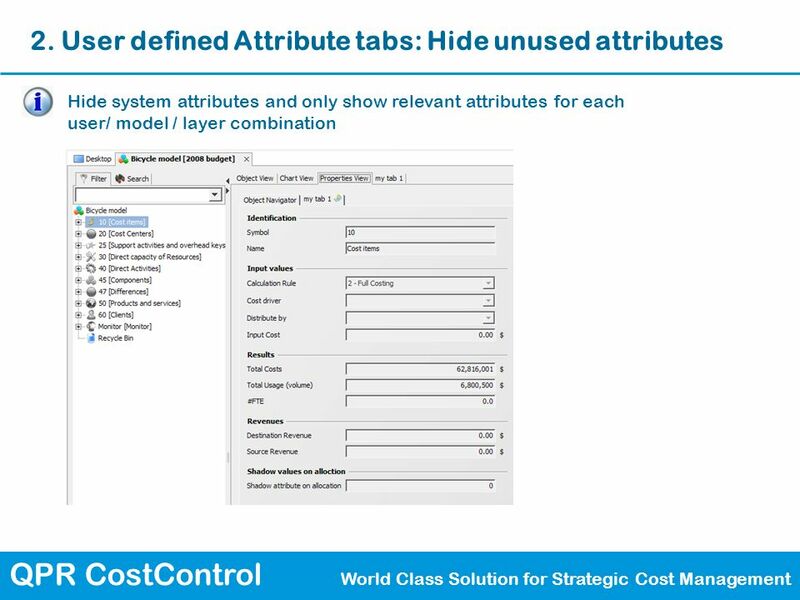 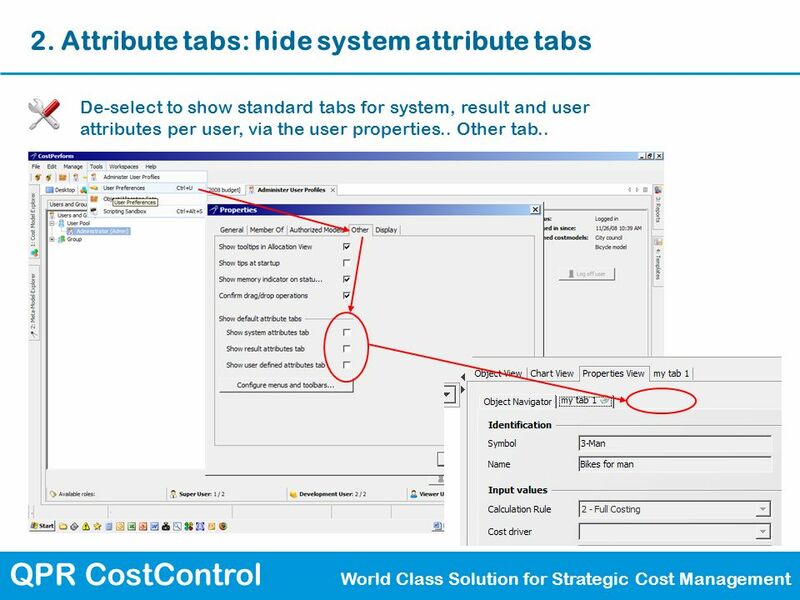 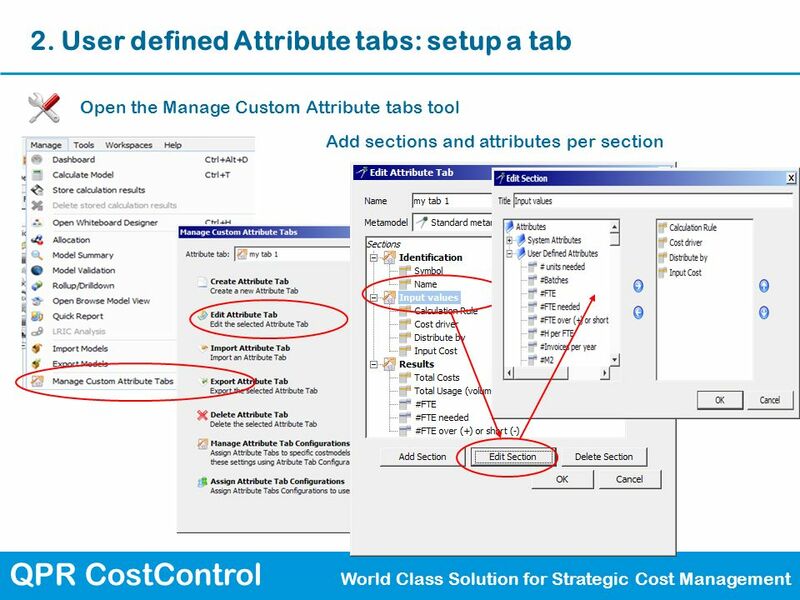 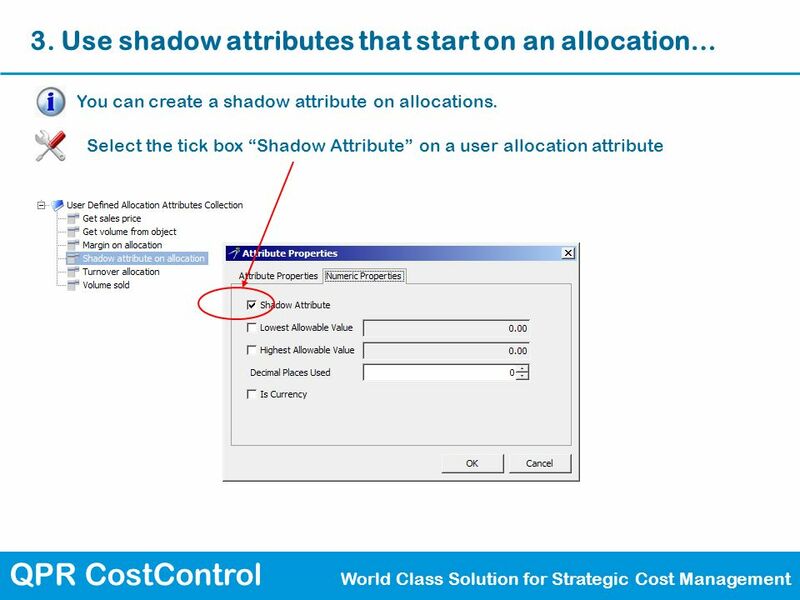 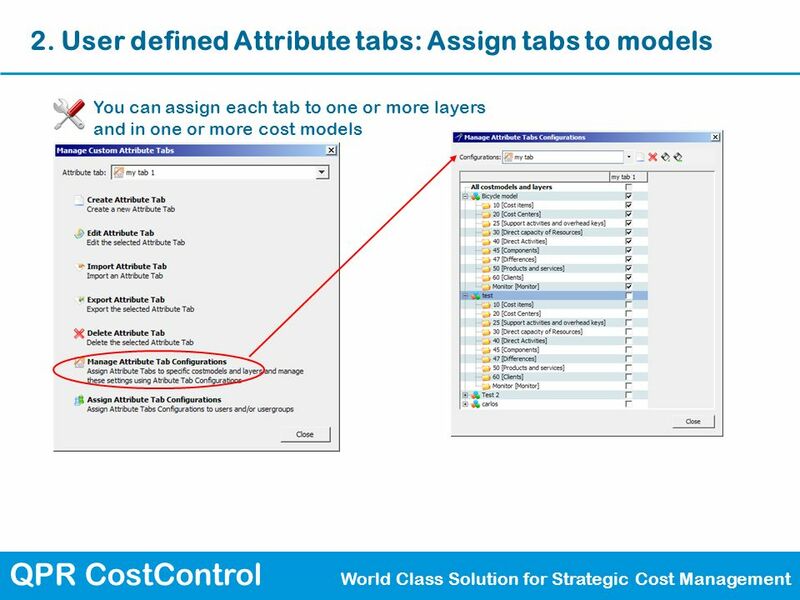 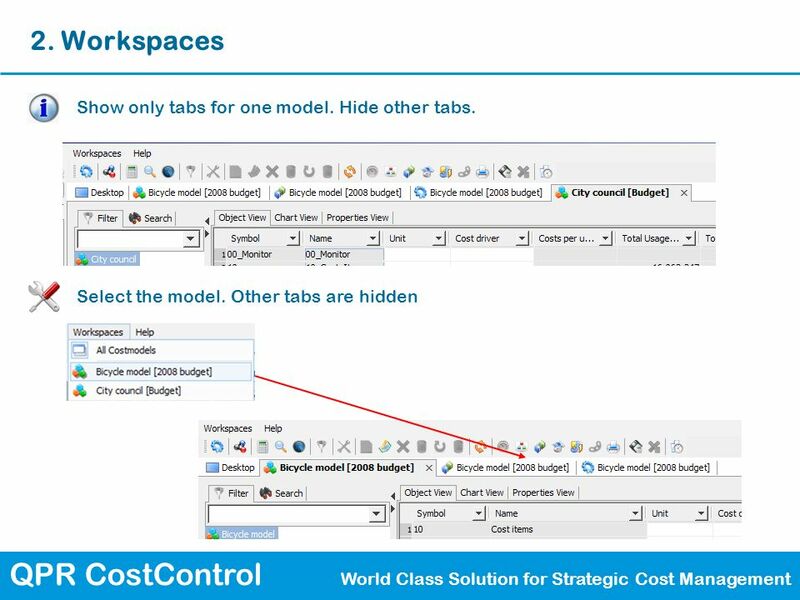 Attribute tabs: hide system attribute tabs De-select to show standard tabs for system, result and user attributes per user, via the user properties.. Other tab..
19 QPR CostControl World Class Solution for Strategic Cost Management 2. 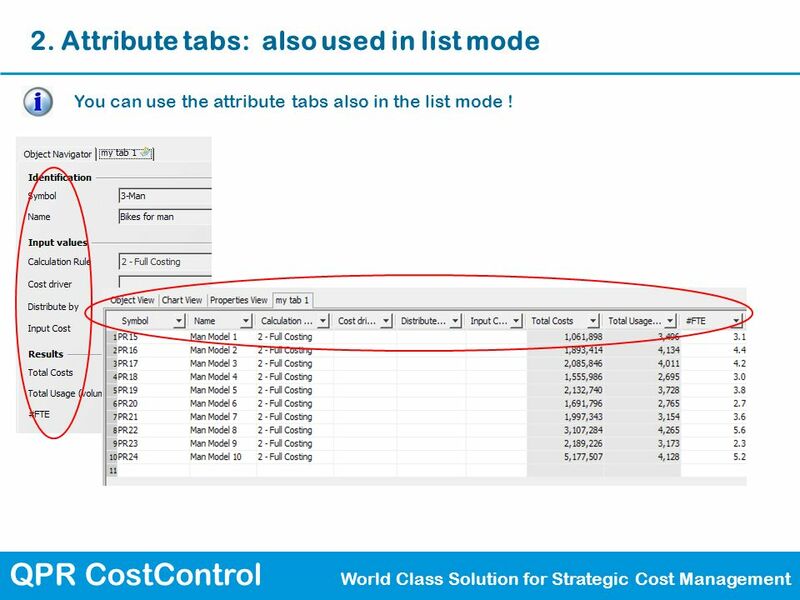 Attribute tabs: also used in list mode You can use the attribute tabs also in the list mode ! 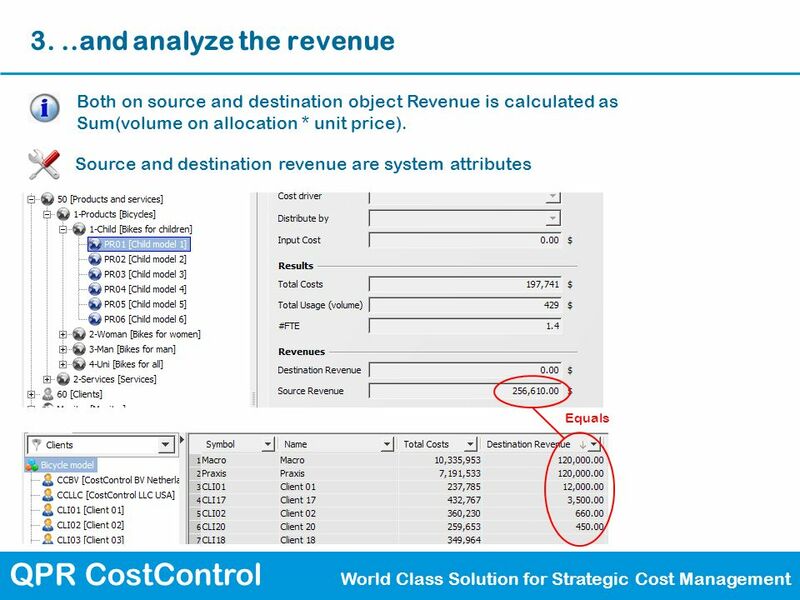 31 QPR CostControl World Class Solution for Strategic Cost Management 4. 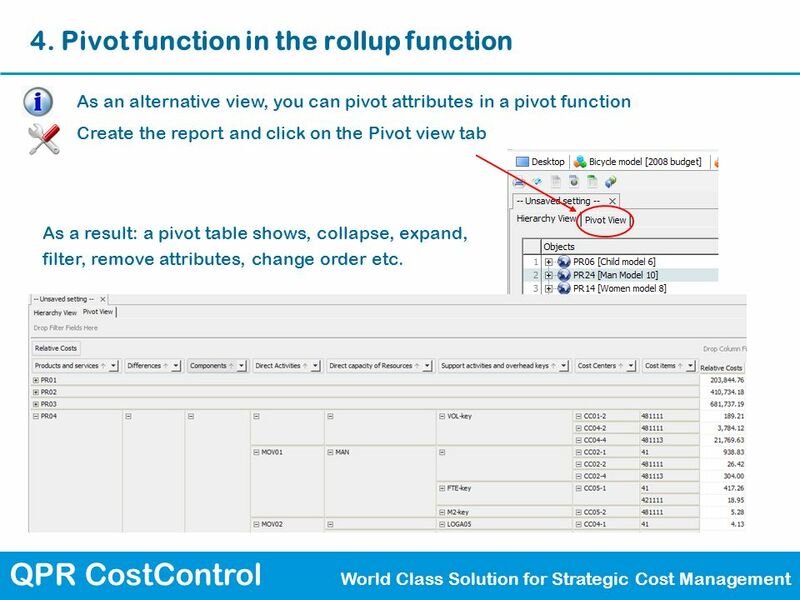 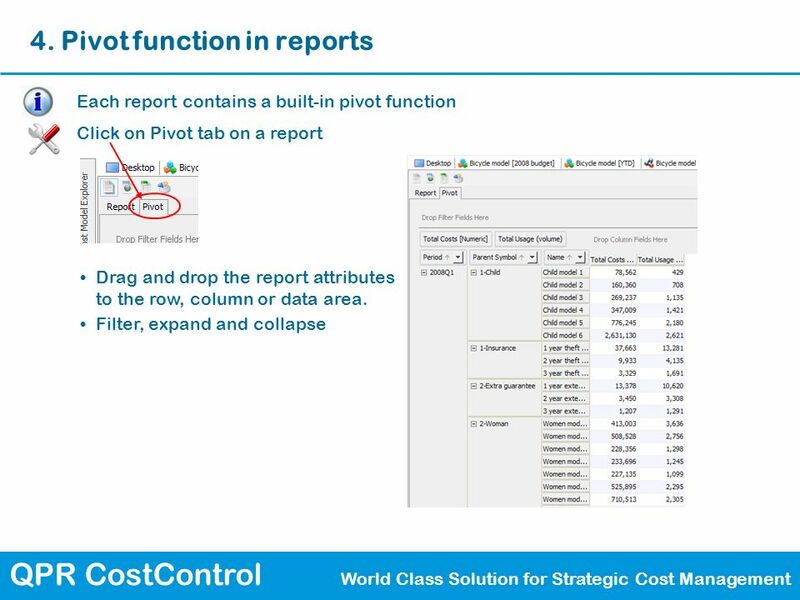 Pivot function in the rollup function As an alternative view, you can pivot attributes in a pivot function Create the report and click on the Pivot view tab As a result: a pivot table shows, collapse, expand, filter, remove attributes, change order etc. 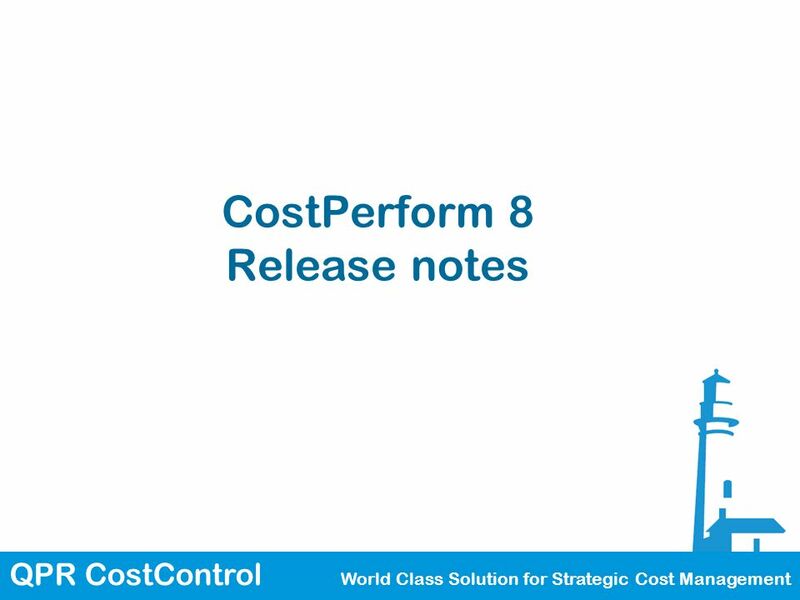 Download ppt "QPR CostControl World Class Solution for Strategic Cost Management CostPerform 8 Release notes." 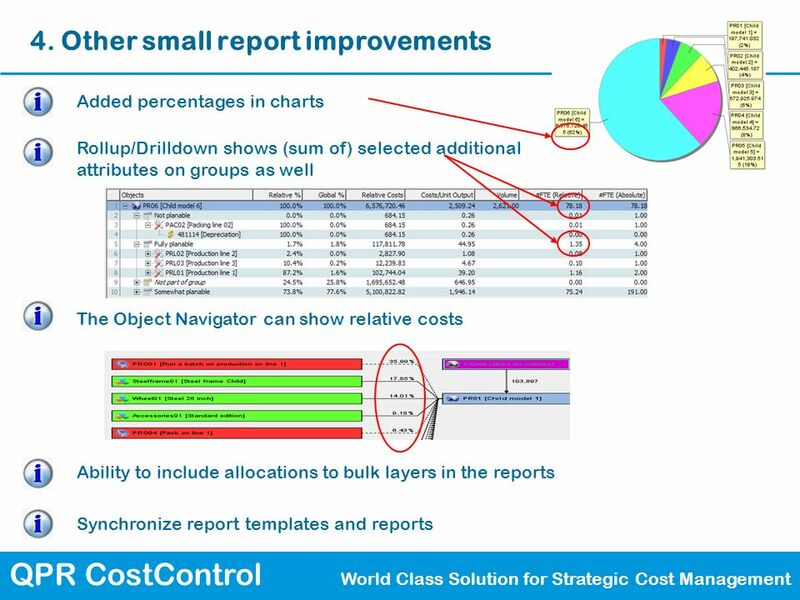 4 Oracle Data Integrator First Project – Simple Transformations: One source, one target 3-1. 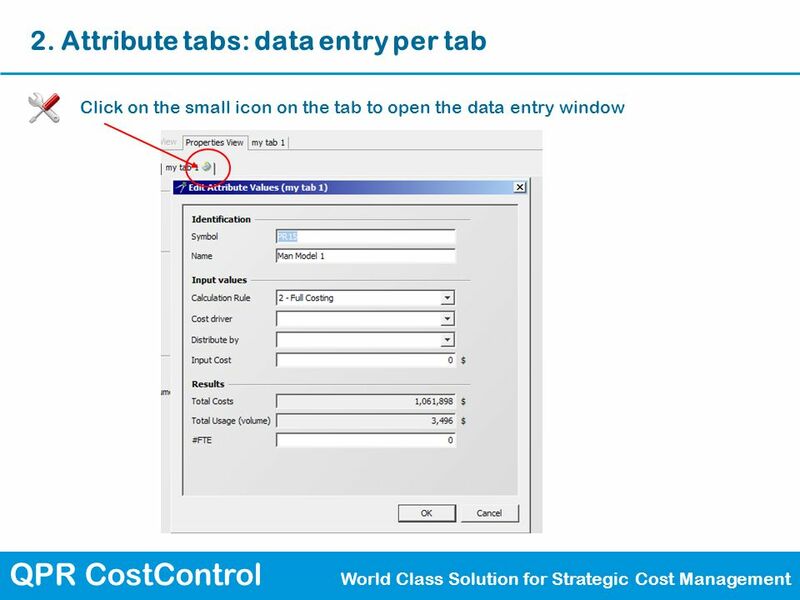 AS ICT Finding your way round MS-Access The Home Ribbon This ribbon is automatically displayed when MS-Access is started and when existing tables. 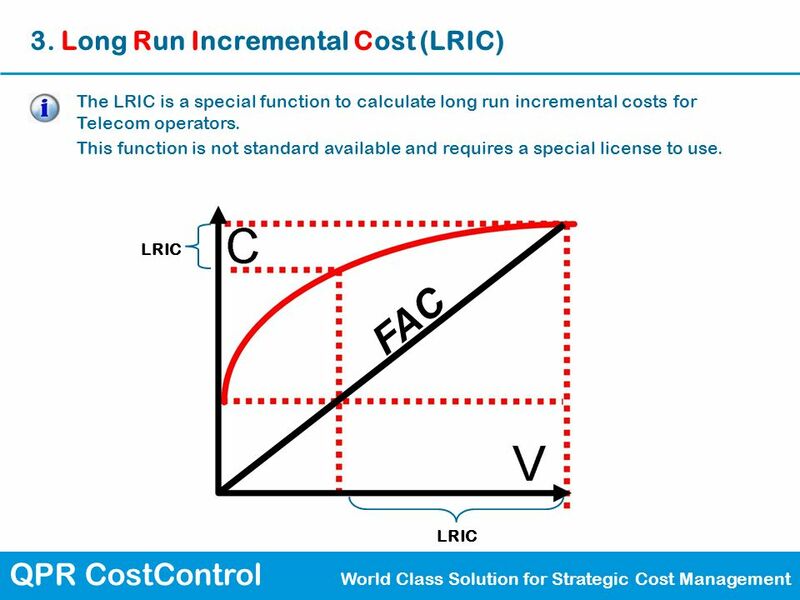 A Quick Review of Unit 2 – Using Windows 7 Computing Fundamentals © CCI Learning Solutions. 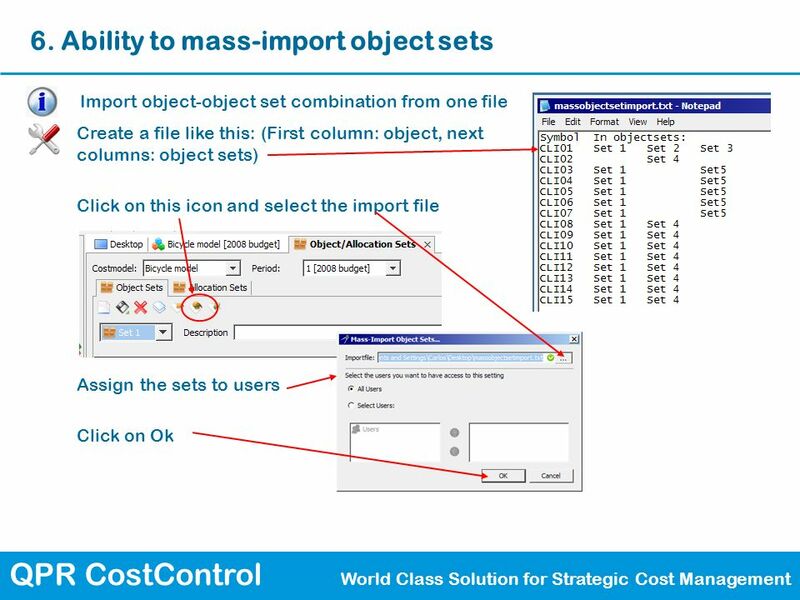 Chapter 9 Chapter 9: Managing Groups, Folders, Files, and Object Security. 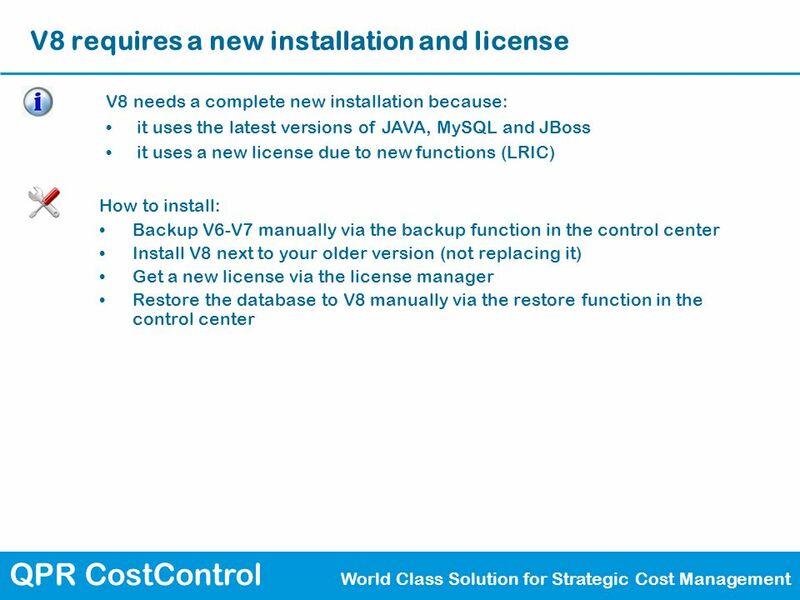 Microsoft Windows Vista Chapter 6 Customizing Your Computer Using the Control Panel. 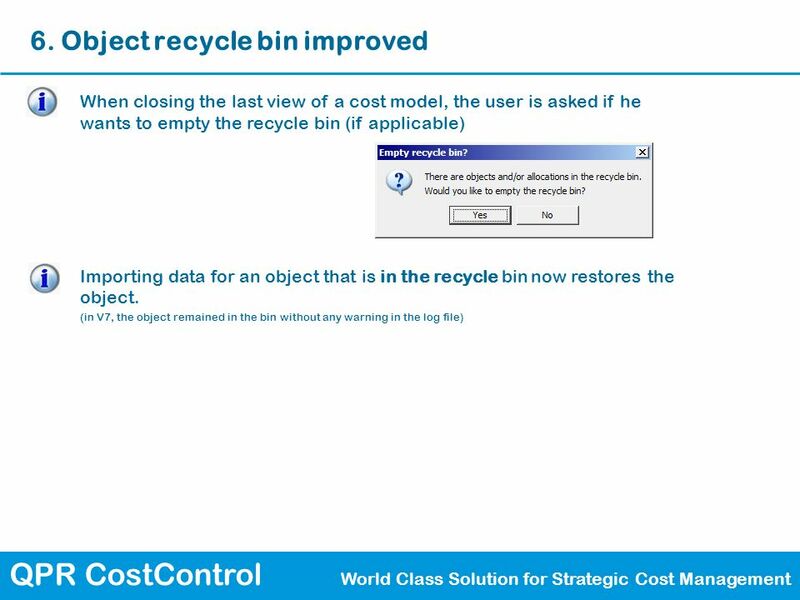 WINDOWS XP BACKNEXTEND 1-1 LINKS TO OBJECTIVES Starting Windows Using the Taskbar, opening & switching programs Using the Taskbar, opening & switching. 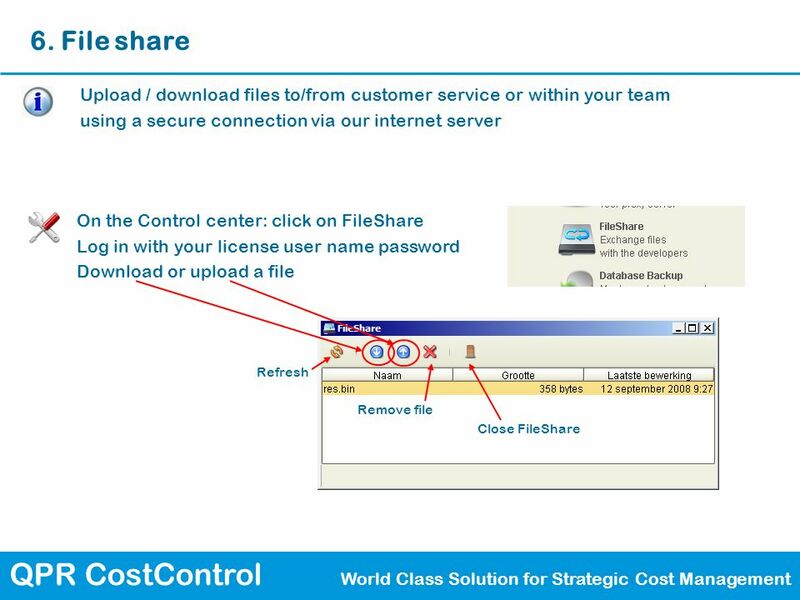 Open and save files directly from Word, Excel, and PowerPoint No more flash drives or sending yourself documents via Stop manually merging versions.